With the benefits of a mild weather, neither too hot nor cold, I loved walking along the beautiful Corniche of the main Emirate, photographing its beaches, skyline, and cityscape. It was January, and this is the best time of the year to enjoy the things to do in Abu Dhabi without the unforgiving heat that stops most activities you might want to engage on. Some eight kilometers of coastal roads cut along sandy beaches and turquoise waters, Abu Dhabi Corniche has something to offer to everybody: beaches for who is looking for a natural winter tan, cafés, restaurants and parks with benches laid out for families planning a day out, statues and intriguing cityscapes for photographers in pursuit of unusual shots. In Abu Dhabi and Dubai, you will probably stare at the most diverse samples of social mores, an awkward mix of styles and attitudes, and one of the easiest ways to spot this diversity is to look at how people are dressed. Abaya-clad women will easily walk near women wearing shorts, and the bazaars are the perfect place to see the difference between the ordinary life and the shopping malls fairy tales. Keep reading and discover what to do in Abu Dhabi whether you are there for a short layover or for a holiday, from peeping at the modern buildings and the extra-luxurious hotel of Emirates Palace to stopping for an orange juice at a Lebanese café. An essential aspect of the Emirates’ roots and soul is Islam, that more than just a religion, holds the principles according to which the life is organized, from how to dress to what to eat and what to drink. Countless big and small domes peep out in the skyline all over the city, beautifully lit up at night. For first-timers, an absolute must-see in Abu Dhabi is Sheik Zayed Mosque, a feast of immaculate white Carrara marble, colored Murano glass and the world’s largest Persian carpet, built and named after the beloved father of the country, Sheik Zayed, former ruler of Al Ain, and founder and first President of the UAE, who is buried there just beside the main building. 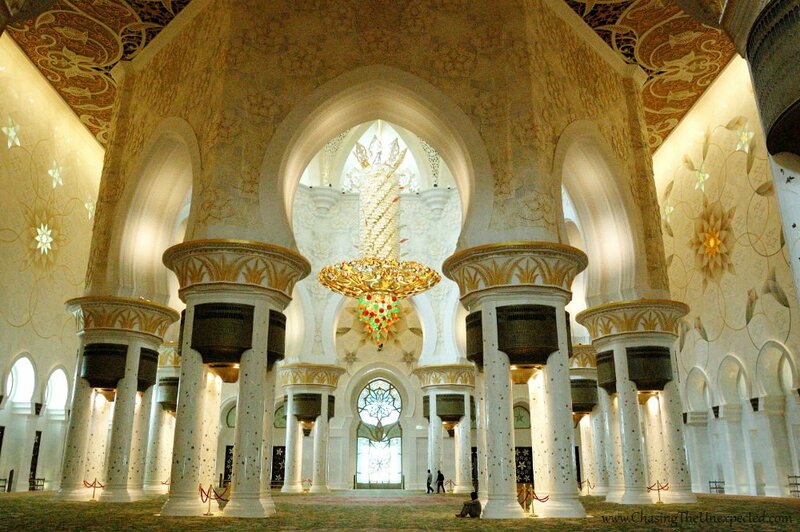 The mosque was thought and designed keeping in mind what Zayed loved the most, green, oases, flowers, but unfortunately, he never saw it completed as he died little before, in 2004, aged 86. To know the dress code you need to follow when you visit Sheikh Zayed Grand Mosque, check out our post. To get under the skin of a place it’s necessary to know its past, and the best way for first-time visitors to do this is a stop at the city’s Heritage Village, located near Marina Mall shopping center. If you are not sure how to get there, take one of the cheap taxis that will bring you right at the entrance. 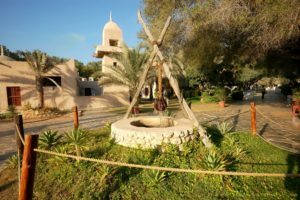 Run by the Emirates Heritage Club, part of the Village is a loyal reproduction of a traditional oasis community, with its bait al-sha’ar (tents made with goat’s hair), al-areesh (sea house built with palm tree fronds), al-towee (typical water well), al-yazra’a (the old irrigation system) and al-aflaj (the water channels), all around a campfire with the coffee pot included. All these traditional traits are common not just to the two most popular Emirates of Abu Dhabi and Dubai, but also to the other five, Ajman, Fujairah, Umm al-Quwain, Sharjah and Ras al-Khaimah. After getting a hint of what lifestyle was back then, which is not even very long time ago since the country as we know it has celebrated last year its 40th anniversary, visitors can explore the local handicraft by visiting the many workshops, where skilled craftsmen give demonstrations of their art and sell their finished products. This gives the chance to see carpentry, pottery, carpet weaving, blown glass, leather and buy the souvenirs directly from their artisans. It’s no secret that the UAE is the kingdom of shopping in the region. Both Abu Dhabi and Dubai host some of the greatest shopping centers you have probably had the chance to visit. So start your walk from glitzy Marina Mall for some tax-free shopping of the best international brands as well as budget clothes. With some 400 stores, you are very likely to find what you are looking for if you love shopping, be it jewelry, clothes, shoes, bags, perfumes and makeup, and more. Get lost in the many stores and don’t forget to stop for a hearty meal at any of their restaurants, cafes, pastry shops or fast foods for a taste of the most different international flavors. Among the things to do in Abu Dhabi that I liked the most was visiting Mina Zayed old port and the nearby bazaars, the one selling carpets and the Fish Souq. There are places that evoke stories even though they don’t flaunt it. Too much wealth does have some drawbacks though, one being the sacrifice of original traditions in the name of a fast modernization able to put this piece of the Arabian desert strongly on the map, and another being extremely rich people living side by side with other people who heavily depend on them to make a basic living. However, there still are places in the Emirates that retained much of their old seafaring charm, and one of them is, precisely, the port. 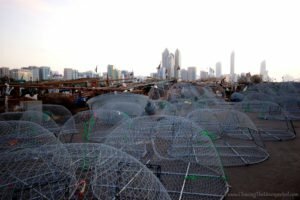 At Mina Zayed port, you will see a concrete expanse clothed with fishing nets resting with ease not far away from the much more glamorous skyscrapers in one of the most quintessential examples of paradoxical society. Moored at the docks is a series of boats that serve their owners as a working tool, habitation, and shelter. The fishermen living on their boats and carrying their load of merchandise and adventurous tales are far from the Porsche-clothed parking of hotels and malls, but to me, they represent what remains of the former stretch of desert inhabited by nomadic tribes and unconsciously blessed with bottomless oil wells. Sure the fishermen working in Abu Dhabi’s port lead an adventurous life, sure they come back every morning with some thrilling tales from the sea, but do they tell anyone? Do they know they are the direct descendants of the working category that once upon a time constituted the wealth of the region, ensuring trade, goods and food supplies? Are they aware that they evoke that seafaring link to the times when Darius the Great was busy building those fabled cities for posterity to admire? When I went to the port there was a strange calm, it was dusk, nobody was around, I didn’t know what the fishermen were doing, so I couldn’t help but picture them getting ready for another night out there on the lookout for their daily catch and open to any surprise the sea might have in store. Walk around the colorful carpet bazaar and the nearby fish market. Here you can even order your fish, tell them how you want it cooked and pick it up lunchtime. Despite being a desert land and with a little rainfall, Abu Dhabi is rich in indigenous flora and fauna. The fast urban development has certainly sacrificed local environment, and this is probably why the government is working hard to make vegetation thrive and the city look like a lovely combination of themed statues, national symbols, green oasis, and leisure areas. As the desert evokes, the most widespread native plants of the region are the date palms that, after clearing the sand and building the roads, are being slowly planted again all over the city. One of the best ways to enjoy the old lifestyle and definitely one of the best things to do in Abu Dhabi is a desert safari. They will come pick you up at your hotel and you will enjoy dune driving, see the sunset, visit a camel farm, and spend an evening of kebab dinner, belly dancing, and sheesha smoking. Click here to read about my own experience at a desert safari in Abu Dhabi. November 2017 the opening of the Louvre Abu Dhabi museum launched a new era in the art scene in the capital of the UAE. Apart from contemporary artists and temporary exhibitions, in fact, I haven’t seen much of museums of Abu Dhabi, so this new opening for sure adds to the quality of a stay in the city. The ticket is 60 AED (some 16 USD), 30 AED for visitors aged 13-22; opening hours are 10 am-8 pm Saturday-Wednesday and 10 am-10 pm Thursday and Friday, closed on Monday. Website www.louvreabudhabi.ae. One of the best aspects of traveling, that together with sightseeing helps understanding the culture and the traditions of a place, is food, and in the Emirates, I satisfied my appetite for Arab dishes. Ever-present on our table was the Lebanese fattoush salad, a delicious mix of veggies flavored with fresh mint and parsley and enriched with pieces of crunchy Arab-style bread. I had great Egyptian food at Abu Shakra, a lovely mezzeh at Fanr restaurant in Manarat Al Saadiyat, comprising in a fine selection of appetizers such as hummus (chickpeas-based paste), moutabal (eggplant paste), stuffed vine leaves, baba ganoush salad, small meatballs and pita bread, and a delicious fish-based treat at Hard Walls, on the second floor of Marina Mall. Every meal washed with my beloved freshly squeezed orange juice. Cristal Hotel Abu Dhabi. Among the budget hotels in Abu Dhabi, Cristal Hotel is one of the favorites. The modern rooms feature flat-screen TV with satellite channels, tea- and coffee-making facilities, air-conditioning. The hotel has also a restaurant and a coffee shop, as well as a wellness center offering massages, sauna, and other treatments. Free WiFi is available all over the property. Click here to see more reviews and current prices. Oaks Liwa Executive Suites. Another great budget accommodation in Abu Dhabi is Oaks Liwa Executive Suites. Located five minutes walking from the beach and close to other attractions, the air-conditioned rooms feature flat-screen TV with satellite channels, tea- and coffee-making facilities, and a minibar. The hotel has also a restaurant that serves Arab and international dishes. Emirates Palace Hotel. Finely decorated with gold, silver and glass, and complete with luscious rooms and some 14 delicious restaurants and cafes, Emirates Palace Hotel is possibly the most luxurious among the five-star hotels in Abu Dhabi. A private beach, first-class service, Arab and international cuisine, an excellent breakfast, fitness center, a state-of-the-art spa, and a swimming pool are only some of the amenities guests will enjoy in this hotel. Rooms feature HD interactive TV with free movies and a choice of 150 channels, iPad, a spacious marble bathroom with a complimentary courtesy kit, hairdryer, and bathrobe, a writing desk, a minibar. 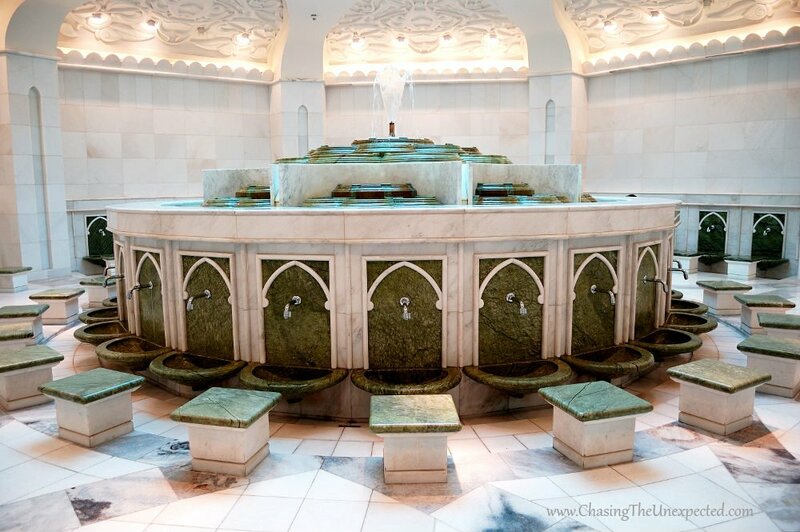 Hardly you will find a better place to spend your Abu Dhabi holidays. Hyatt Capital Gate Abu Dhabi. Among the best five-star hotels in Abu Dhabi, Hyatt Capital Gate is one of the favorites. Located not exactly in the city center but close to Sheikh Zayed mosque, here you can enjoy an infinity pool, a delicious breakfast, spacious and elegant rooms with floor-to-ceiling windows, flat-screen TV, MP3 and iPod docking station, safe, minibar, kettle, beautiful views, luxurious bathroom with free toiletries, bathrobe, shower or deep bathtub. The hotel features also two excellent restaurants, one serving high-quality Mediterranean cuisine, one lounge-style that serves tea, coffee, freshly baked pastries and a range of snacks. You can also relax at the modern in-house Rayana Spa with an outdoor pool, a whirlpool tub, and a well-equipped fitness center. Bella! 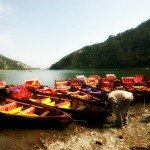 Se tutto va bene, a dicembre la visiterò!!! Mosquée magnifique, je la verrai en décembre, j’espère! Si elle est tellement belle et grandiose en photo, qu’est-ce que ça doit etre dans la réalité!!! Thanks Kris, it wasn’t difficult, the subject was impressive! Superbe photo! Ca donne envie de la voir en vrai!!! Wow — that is an amazing photo.It looks like a beautiful place, but you really have an eye for capturing just the right angle. Thanks Cathy, I admit, I love taking pictures wherever there is water. Those reflections are stunning Angela! Thanks a lot Kala, the water was super clean! Marc a exprimé ma pensée, j’ai hate de voir la mosquée! Wow! That is absolutely beautiful. 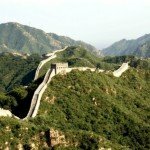 My husband and I want to make a trip to the UAE next Summer. 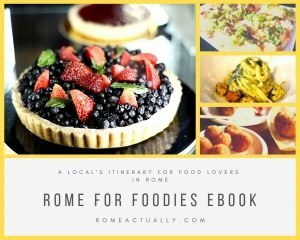 Do you have any suggestions on places to see and eat? In Abu Dhabi and Dubai there are plenty of things to see and places to eat good food, make sure your try all different Arabic restaurants, I especially love Lebanese cuisine. As for things to see, I liked more Abu Dhabi, but maybe because I stayed there longer. However, either you stay in Dubai or Abu Dhabi, don’t miss a desert safari, it’s a very nice experience. Gorgeous shot- love the reflection and colors in the shade. Wow, that’s a beautiful photograph. The reflections are amazing. They make the photo. Great shot.. I love the shape and the white color. Feel so peaceful just by looking at the interior..